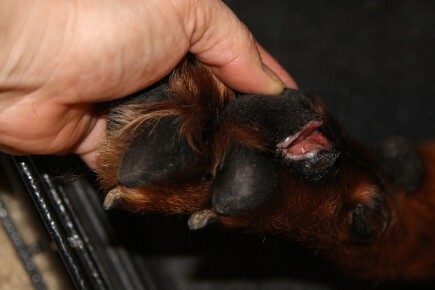 Your dogs foot pad will heal! Don't freak out! The foot pad will bleed very bad. Apply pressure with a towel until bleeding is to a minimal, it will bleed for a few days. 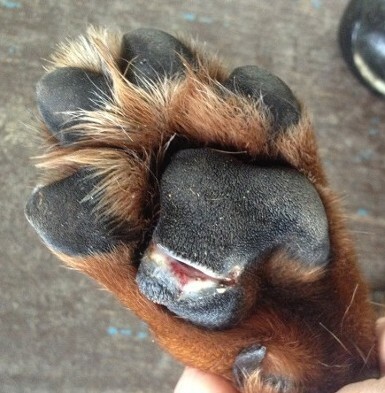 Your dog can tear the pads of its feet. The most common ways such as glass and metal, stuck in the wire of you dog kennel ( most common ), and a dog fight. Unfortunatly it looks extremely bad, but dont freak out! 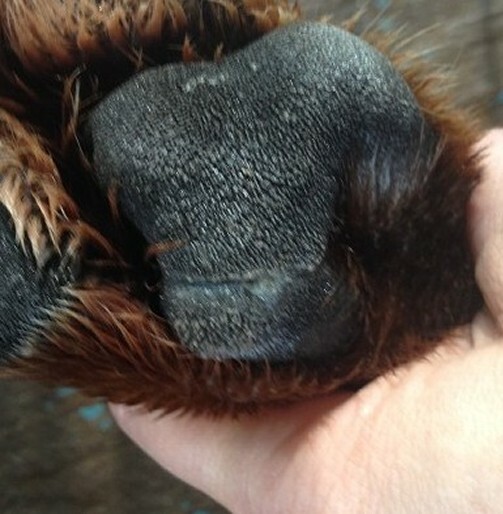 The vet cannot really successfully stitch a dogs pad, but you MUST have ANTIBIOTICS. 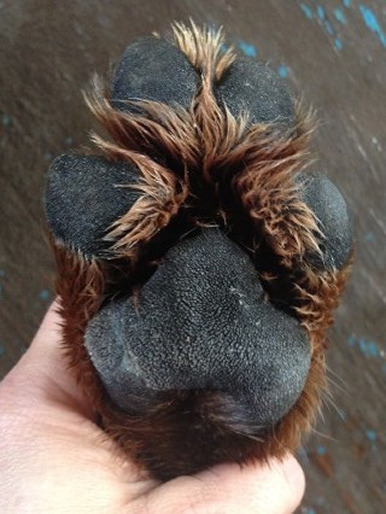 The dogs pad will grow back so crate your dog for a week or two and ALLOW your dog to lick its foot. Also there is a awesome product you can buy at Tractor Supply called Vetericyn wound and skin care. The bottle is in a blue transparent bottle with a blue label. It is used for horses, rabits, dogs, cats, and other animals. 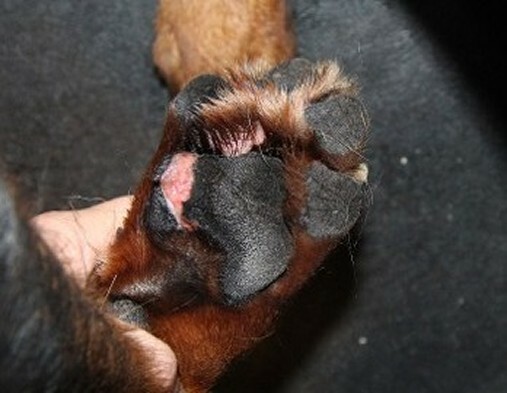 Try to bandage the foot each time you walk your dog outside to use the bathroom. the dog will try and remove it, but once the dog starts walking it will forget about the bandage until you get back inside, remove the bandage when in the crate.